Many federal employees and government contractors are required to apply for and maintain security clearances. In some cases, the security clearance application process is straightforward. However, if problems arise or potential issues develop, they are typically discovered when the employee or government contractor is about to complete his or her security clearance application through e-QIP or the government’s Standard Form 86. If possible, you should seek the advice of an experienced attorney who handles security clearance matters since each case is different. The following are some general guidelines. This is one of the most important tips. Individuals often receive clearance denials because they did not adequately read the questions asked or proofread their responses on the e-QIP/SF-86 application prior to submission. In some cases, if an individual does not take the time to read the question and answers “No,” when they should have answered “Yes,” to a question, a clearance investigator might conclude that the individual was attempting to be dishonest. This is important to understand as such an oversight can be very detrimental to obtaining or keeping a security clearance. Therefore, it is very important to carefully complete the security clearance application before submitting it. This recommendation cannot be overstated. Individuals should be honest in all aspects of the clearance process. 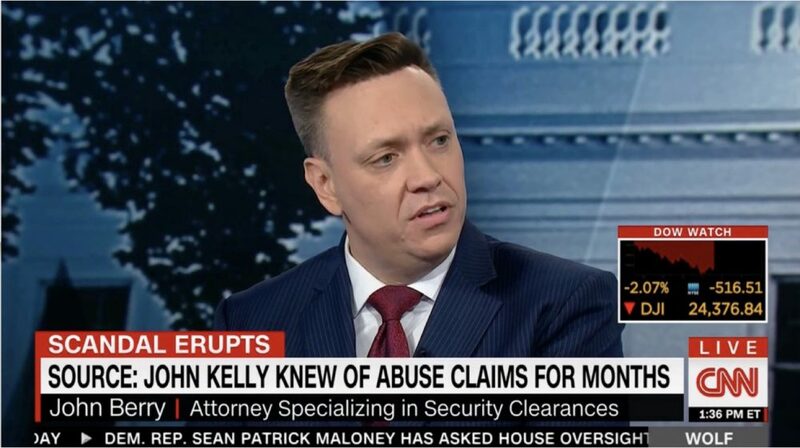 When an individual is dishonest during the clearance process, it could not only potentially bar the individual from receiving a security clearance, which would remain on his or her clearance record, but it could also raise a host of other legal issues, including potential criminal issues. It is much easier for a security clearance attorney to mitigate security clearance concerns involving financial, psychological, prior drug or alcohol usage issues than defend against an allegation involving truthfulness in the clearance application or interview process. An applicant should consult with a security clearance attorney for legal advice if there are any possible criminal disclosures or issues. Depending on the factual circumstances involved, we may advise that it is better to wait to apply later for a clearance rather than go through the process right now. Take the necessary time to gather and review relevant documents related to any potential security clearance problem in advance. Taking this step will help an individual in two ways: (a) it will help an individual remember all the details of the potential security concern, such as an arrest or bankruptcy filing that occurred three years ago, in preparation for answering questions; and (b) the documentation may help to mitigate the security concerns later, if necessary. If an individual believes that there is a good chance that problem areas exist in a security clearance application, he or she should expect to be asked about these areas by the assigned investigator. The investigative interview can vary in duration from an hour to several hours depending on whether significant security concerns exist. Early preparation for the security clearance interview can help minimize any problem areas. Unfortunately, many individuals go into the interviews without thinking about or preparing for the issues that could arise and often provide incomplete information. Interview preparation can also help the individual’s confidence when meeting with the investigator to explain application responses that raise any security concerns. Refrain from reacting defensively when asked by an investigator about potential security concerns in a security clearance application. It is important to be calm and positive about the issues when speaking to an investigator. In addition, arguing with an investigator will never benefit an individual since the investigator can have significant influence over the application process in the initial stages. It is important for all applicants to treat the investigator with professionalism. If an investigator attempts to contact you, be timely and courteous in your response. Even if it is inconvenient to meet or return calls, not doing so could be detrimental. Promptly responding to the investigator can give the investigator a positive impression, especially if the investigator will be providing a recommendation regarding your ability to obtain or retain a clearance. It is very important to understand that the security clearance process can often take a several weeks to a few months to complete depending upon a number of factors, including: (a) whether the individual is a federal employee or government contractor; (b) the number or significance of the security concerns; (c) delays in obtaining responses from federal agencies in seeking an investigative file; (d) the general investigative backlog; and (e) the specific employer involved. There are many other considerations that can also delay adjudication so it is important to remain patient during the investigation. If you need assistance with a security clearance issue, please contact our office at 703-668-0070 or at www.berrylegal.com to schedule a consultation. Please also like and visit us on Facebook at www.facebook.com/BerryBerryPllc. This entry was posted in Clearance Investigation, General Security Clearance, Uncategorized and tagged clearance forms, Clearance Investigation, Clearance investigators, e-QIP, federal employee, government contractor, Honesty, Security clearance, security clearance attorney, security clearance lawyer, security clearance lawyers, SF-86, Tipe for Clearance Investigations by berrylegal. Bookmark the permalink.